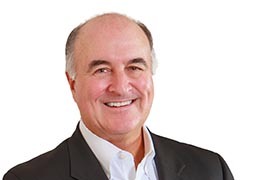 Mike Gill was elected Secretary by Governor Larry Hogan in January 2015 to lead the Maryland Department of Business and Economic Development (DBED). He is a business leader with four decades of experience as an entrepreneur, a veteran of large technology firms, and a public servant. Prior to his appointment, Mike led Evergreen Advisors as chairman and principal starting in 2008. He has spent a significant part of his 32-year business career developing and implementing business strategies in a number of industry sectors, including information technology and wireless communications. He joined IBM in 1974 where he spent seven successful years in sales and marketing. He joined Ernst & Young in 1981 as Director of Data Systems; and in 1983 became Regional Manager for American Teleservices, the majority shareholder of Cellular One. Mike oversaw the start-up of the first sales organization in the nation’s capital. One year later he founded AMERICOM, providing cellular products and services to businesses in the Maryland area. AMERICOM quickly became one of the leading technical services companies in the wireless industry during Mike’s 16 years as founder and CEO. By the year 2000, AMERICOM had grown to over $70M in revenues with 1200 plus team members. In April of 2000, the company was acquired by Solectron, an NYSE company and leader in the electronics manufacturing sector. Mike remained with Solectron as Vice President for Business Development until 2003, when he founded Hoyt Capital, a small investment firm providing capital and business advice to start-up and existing enterprises. In 2006 he was named Executive Chairman and board member of Baltimore-based Bluefire Security Technologies, a developer of security software for wireless mobile devices, PDAs and smartphones. Mike’s Board and committee service have also included Baltimore County Economic Development Commission, Baltimore County Chamber of Commerce, the GBMC Foundation Board, the Bank of Maryland, Chairman of the Towson University Board of Visitors, and member of the Notre Dame Preparatory Board of Trustees. He is currently on the board of Corporate Printing Solutions and Bay National Bank, a public company; and serves as Chairman of Curtis Engine. In July 2004, Mike was appointed by Governor Robert Ehrlich to a five-year term on the Board of Regents for the University System of Maryland. He serves as Chair of the Audit Committee and is also Treasurer of the board of Regents. Mike received a Bachelor of Science Degree in Business Administration from Towson University in 1974, after first attending Clemson University on a baseball scholarship. In 1996, Mike was awarded an honorary Doctor of Humane Letters degree from Towson University. In May of 2005, he received Towson University’s Distinguished Alumnus Award and in October 2005, became an Honorary Member of the Towson University chapter of the international business society, Beta Gamma Sigma. Recently, Mike was named to the President’s Advisory Board at Clemson University.